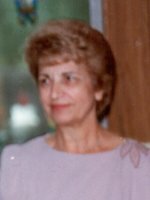 ALBANY – Maddalena “Lena” Massimino Pellegrino, 88, of Albany, died Tuesday, March 12, 2013 in the Hospice Inn at St. Peter’s Hospital. Mrs. Pellegrino was born in Reggio Calabria, Italy, where she lived until emigrating to the United States in 1956 to join her husband who came before her. She was employed for over 30 years as a seamstress at Spector’s Clothing store in Albany, and was a communicant for many years of the former Holy Cross Church in Albany. She was a kind and loving person, dedicated to her five children. She made delicious pasta sauce, had a beautiful singing voice, and whether at work or at home sang all the time. Her happiest times were on her front porch looking in. Mrs. Pellegrino was predeceased by her husband Girolamo “Jim” Pellegrino. She is survived by her children Mary Pettinato of Guilderland, Josephine Prozik (Don) of Albany, Anthony Pellegrino (Eileen) of Guilderland, Joseph Pellegrino (Karen) of San Jose, CA, and Anna Gaston (Don) of Waterford; her grandchildren Lisa LaVigne (Paul Joseph “PJ”), James Pettinato (Kari-Ann), and her great grandchildren Trey and Matthew LaVigne. The family wishes to thank the loving persons who cared for Mrs. Pellegrino through her years at the Teresian House, and a special thank you to Diane Mangini who provided comfort to Mrs. Pellegrino in her last days. Funeral services will be held in the Hans Funeral Home, 1088 Western Ave., Albany, Saturday morning at 10:15, and from there to a Mass of Christian Burial at All Saints Catholic Church, Homestead St., Albany at 11:00. Relatives and friends are invited, and may call at the funeral home Friday from 4-8 p.m. Interment will be in St. Agnes Cemetery, Menands. The family suggests memorial contributions to the Teresian House, 200 Washington Ave. 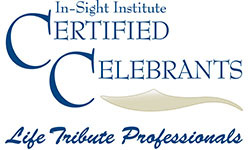 Ext., Albany, NY 12203; or to Community Hospice of Albany, 445 New Karner Rd., Albany, NY 12205. To leave a message of condolence for the family, send a sympathy card, or obtain directions to the funeral home, please visit www.HansFuneralHome.com. It’s with great sadness that I hear of the passing of your mom. She will certainly be missed by all of her friends at TH. Walter sends his condolences as well and he hopes to still hear you sing, Josephine! God bless all of you.